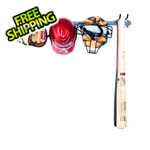 This Large Baseball Rack is great for storing your family's baseball and softball gear in an orderly fashion. 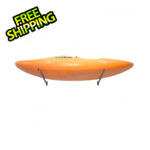 The Monkey Bar Baseball Rack can hold 10 bats, gloves, helmets, and catcher's gear. 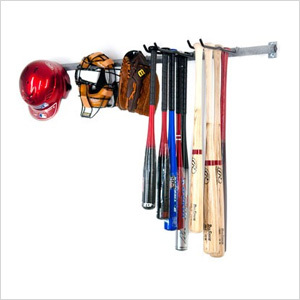 The Baseball Rack can be installed into wall studs in 10-15 minutes. The Baseball Bat Rack is made of industrial steel and is powder coated to hold up to long-term use.